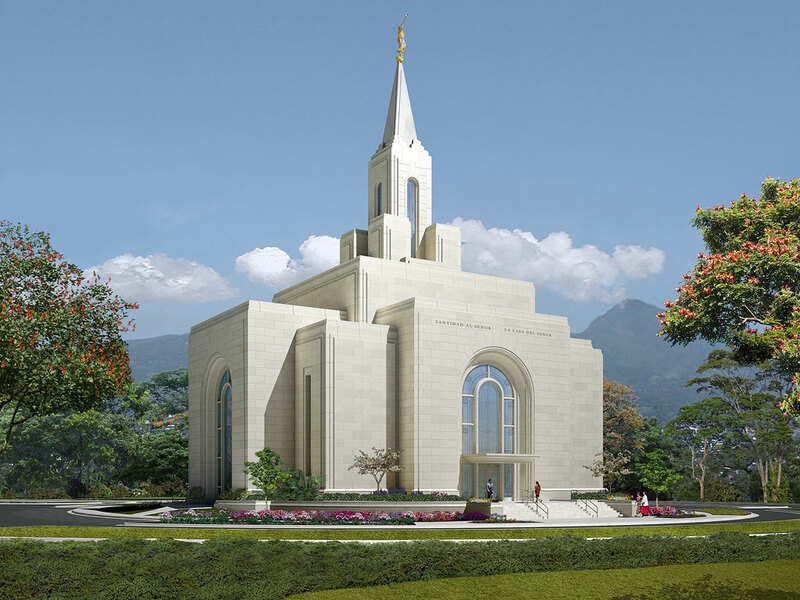 The announcement of the building of the San Salvador, El Salvador, temple was particularly moving for me since that is where I served my mission (’00-’02). The closest temple for members in the country when I served there was the Guatemala City Guatemala Temple. Making the trip to Guatemala typically took members years of saving, a week long trip in a bus, and usually only happened once in a lifetime. This temple will be a great blessing for them. LDSChurchTemples.com reports that the temple groundbreaking ceremony took place just a few days ago on September 20, 2008. Elder Don R. Clarke from the Quorum of the Seventy, and president of the Central America area, presided at the meeting. Photos of the ceremony can be seen here. The temple will be dedicated in 2010 or 2011. See the approximate location of this temple. If you know more precisely where it will be going, please let me know. New Zealand Maori sharing in the sacred act of hongi, exchanging the ha or breath of life. The title is a bit of a mouthful, but let me explain. I have been a ballroom dancer since I was about 12 years old, or about 15 years. It has been quite an experience being involved with this subculture of ballroom dance, which has made up a large portion of my life. During the summer of 2005 I had the opportunity to tour with the BYU Ballroom Dance Company to the South Pacific, during which we visited Hawaii, New Zealand, Australia, and Tahiti. My wife was also fortunate to join us on the trip. It was a singular experience which has burned a place in my memory.